Should entrepreneurs start with a goal in mind or should they just go with the flow, responding to events that happen to them? 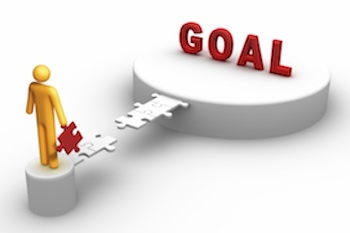 There has to be a goal around which the resources, strategies and plans should be aligned. Of course, because you have a goal and a plan does not mean that everything will go according to the plan. That’s where responding to in-market realities comes in. And that’s why you need a goal and a plan to achieve that goal. The plans and the milestones in that plan are your markers which allow you to assess your strategies as well as the goals and help you make adjustments in your plans as you go forward. I guess your role as an entrepreneur is so much in tandem with Project Management, the only difference being that you get to don various hats as you constantly step in and out of each role (as is most times with true entrepreneurship….) and that’s probably also what precisely makes it all the more interesting & worth the journey!! So really in that sense, milestones are always planted all along the way, just that you get to do it yourself in order to gauge your own progress!? Next Next post: What are some important questions to ask, in a focus group research for evaluating an idea?